‘If you want to increase your success rate, double your failure rate.’ This famous quote by Thomas Watson Jr. is a simple but elegant concept that has become a cornerstone of entrepreneurial philosophy. As the second president of IBM, Watson is known as one of history’s greatest business leaders. In the 1960s, his first attempt at creating a supercomputer failed at a cost of around $20 million in losses. Watson was not deterred, however, and went on to make IBM the household name that it is today. This quote has gotten so much mileage that it’s turned into something of a cliche. Startups and fresh entrepreneurs now want to fail fast, fail often and fail in the right ways. The thing about cliches is that they don’t become cliches unless there is a strong kernel of truth in them. This quote was one that was also revisited in a recent conversation between Ronsley Vaz and Travis Chappell on The Build Your Network podcast. Ronsley had this to say: ‘The perception of successful people is they just breezed into their success. The truth is, most successful people simply fail more than others.’ He went on to cite entrepreneurial legends like Gary Vaynerchuk and John Lee Dumas as examples of people who look wildly successful but have truthfully failed quite a bit along the way. If you want to emulate people like Gary, John, and the originator himself, Mr Watson, there are numerous benefits that can be yours. Here are a few of them. You learn. You get a direct lesson that is far more likely to be impactful than a simple blog. This can be even more effective if you keep a record of what caused you to fail or get some objective feedback on it as well. You get invaluable perspective. Most of the stuff people worry about is unfounded and never comes to pass. All the worst-case scenarios play out in your head – you’re positive that your idea will end up straight in the ditch. But here’s the catch – something is going to go wrong if you try things, but when you actually fail, you will find that even messing up is never as bad as you think it is. This is important perspective to take with you. You stop worrying about what others think. In a way, getting comfortable with failure sets you free. If you’ve failed, you can see that the world doesn’t end, people don’t walk away from you – in fact, people may even rally around you and commend you for being brave. Adding more failure to your life immunises you against caring too much what other people think. So, next time you hold yourself back because you’re afraid of failure, remember that failing itself could be the key to achieving the success you’ve been striving for. Reflect on the points listed above, and see what benefits come your way from failing. 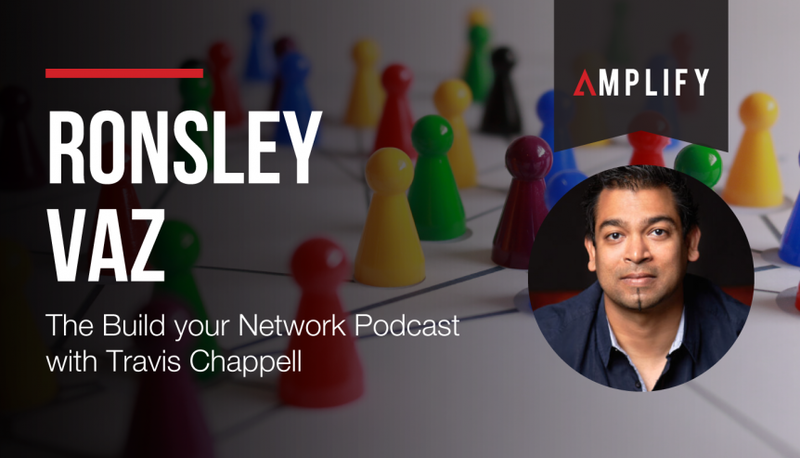 Listen to my entire conversation with Travis Chappell here.